1. Click on the quality button in the video control bar at the bottom of the video. By default this will display 'SD'. 2. Click on the desired quality. 3. 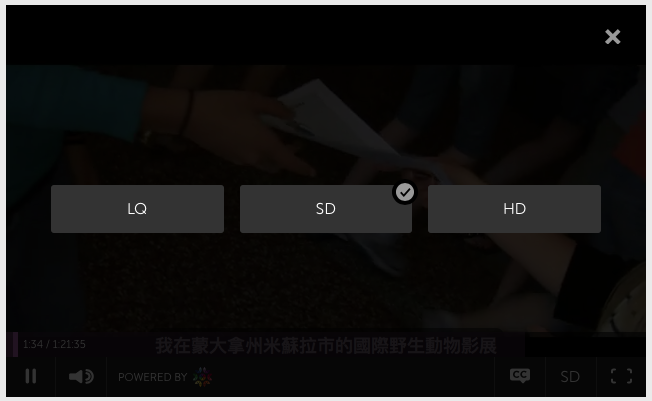 The selected quality will be shown in the video control bar at the bottom of the video.